Something we always like to have after supper each night, but never seem to put enough thought into is dessert. Yes, there is the occasional crumble if there is a particular glut of home grown raspberries, rhubarb or plums, but aside from that more often than not it is homemade ice cream or a Magnum from the freezer. But really, there are desserts that look impressive, but don’t actually require that much effort with some forward planning. Today I wanted to share with you a dessert we’ve been enjoying here after supper a couple of times over the past few weeks (but would be equally suited to a dinner party), and a cookbook I received for Christmas and I’ve been rather enjoying over the past 8 months. Shall we start with the jellies? You’d be right in thinking from the title of this post that they are essentially gin and tonics in jelly form. But better, because I usually don’t actually like tonic water. The pretty pink hue comes from the subtle addition of Angostura bitters. They’re pleasantly boozy and all together grown up. If you were to make the jelly in one big dish to share out, all that would be involved would be making the jelly mix, adding the blueberries and leaving the whole thing to set. 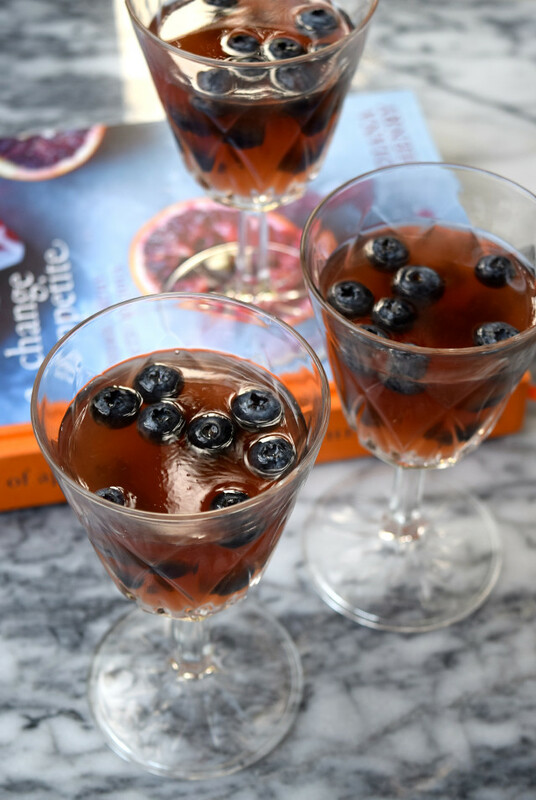 The only, perhaps complex part of this dish is that as blueberries float, to get the pretty layers of the blueberries thought you’ll need to layer up the jellies, leaving about an hour and a half between each layer to achieve the (stunning) final result. I wrote briefly about A Change Of Appetite in January when I took inspiration from the book in my recipe for Slow Roasted Cherry Tomatoes on Avocado Toast and I tapped out a few first thoughts on what had proven to be one of my favourite tomes from my Christmas haul. Before we even look at the recipes, the subject or the writing, it truly is a beautiful book to read, use and have on my shelf. Placeholder ribbons are so useful in cookbooks I wish they all had them, and I’ve become a little infatuated with food photographer Laura Edwards’ work since I first flipped to the back of this book to find out who had shot it. is simple. 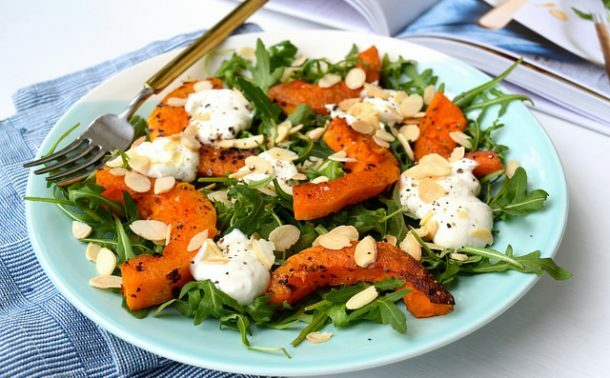 It is one of the first ‘healthy eating’ books on the market before the whole thing became over saturated and we all collectively got rather sick of the concept. (I wrote a bit more about this when I reviewed River Cottages’ Light & Easy last week.) I like the approach; we’re not cutting anything out of our diets (these jellies are in fact a treat recipe from the book due to the alcohol and the amount of sugar, but they’re still pretty healthy in the grand scheme of dessert recipes on the internet), and we’re not adding any weird and supposedly wonderful new ingredients to our larders either, save a few more interesting grains, pulses and flours, which are to be welcomed in that they are to be used in tandem with our staple favourites such as good old plain flour, rather than replacing them. As I’ve mentioned, I’ve cooked quite a few recipes from the book this year for myself (it is more suited to my style of eating than the rest of my families, though they are coming around to some of the dishes I am producing from it) and I’ve taken inspiration from some others in informing my own work as a recipe columnist; the idea of using pearl barley, something I’d usually reserved for soups and stews in a tabbouleh I used in my Borough Market column in February came from her recipe for the Barley Tabbouleh she suggested to be served with Roast Red Mullet with Tahini Dressing. As well as my go-to Vietnamese bible My Vietnamese Kitchen by Uyen Luu, I referred to Diana’s recipe for Rice Paper Rolls with Nuoc Cham for ideas when I was brainstorming my dipping sauce for my Vietnamese Salad Rolls I made for the Market in March. I still have so many more recipes from the book earmarked that I still want to try. Just a sampling to give a general idea: Japanese Ginger & Garlic Chicken with Smashed Cucumber, Middle Eastern Yogurt Bread, Burmese Melon & Ginger Salad, Scandi Salmon Burgers with Dill & Tomato Sauce, Roast Tomatoes & Lentils with Dukka-crumed Eggs, and a dish of Pink Rhubarb baked with Star Anise, intended for breakfast. 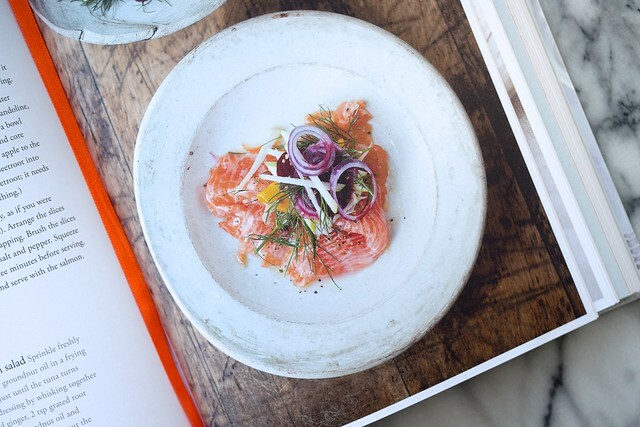 As a writer who also happens to cook and take photographs, one of the most important things as to what makes a good cookbook for me is how it is written. 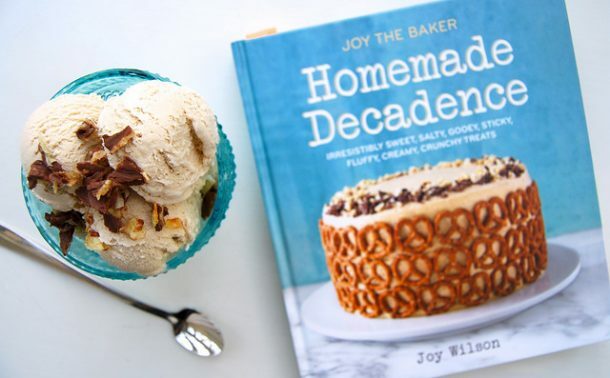 As you’d expect from any good, veteran newspaper columnist the book is engaging and enjoyable to read as well as to cook from, but all the recipes are also easy to follow and very functional. 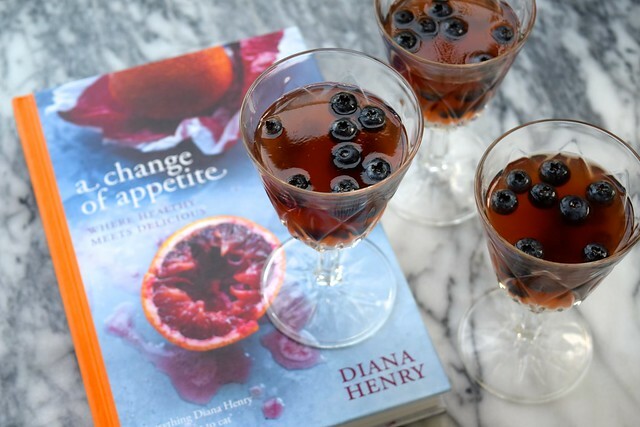 I found in interesting in retrospect on enjoying this book for a while to read a piece Diana recently wrote for her home publication The Telegraph on her cookbook writing process. Notably, things I really liked from this book that made it easier to cook from for everyday than some of the others I’ve been rapidly amassing are that the book is divided into four seasons, so I know where to look for ideas for ingredients that I’ll most readily have at hand. I also like the little sections dropped in between the recipes as to how to integrate the recipes into your everyday diet; on page 177 there is a great list noting the recipes (with page numbers) from the book that would make a great thing to make up to take into the office for have for lunch, and another which would make a great working lunch to eat from home. 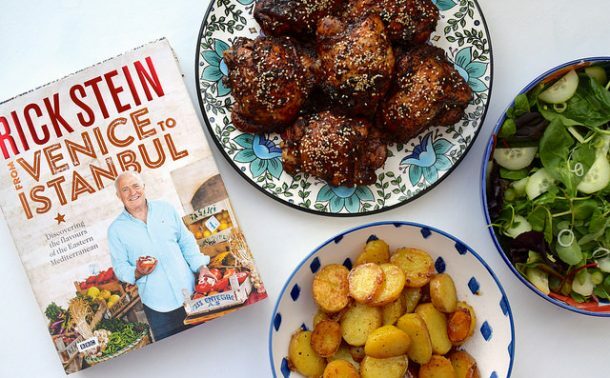 As aside from steak, chicken is just about one of the only things my whole family can agree on, I’ve already earmarked her latest book, A Bird in the Hand: chicken recipes for every day as yet another addition I need to my collection. 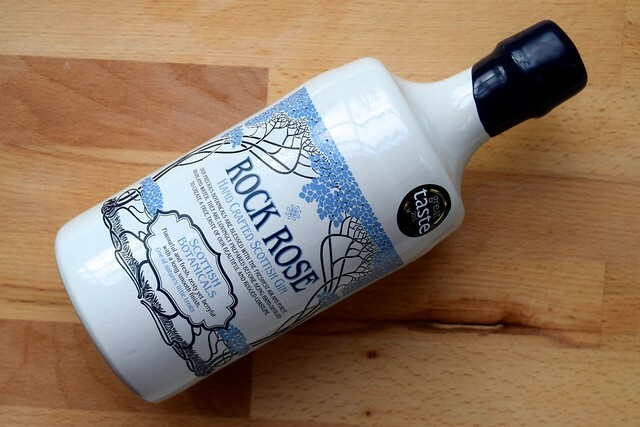 Rock Rose is a bit sweeter than you’d expect from you’re usual Scottish gin made with hand foraged botanicals such as The Botanist. It’s slightly fruitier too, but with a bit more refinement than, dare I say it, English gins that claim to have a fruiter or more floral profile. I’ve chosen to use it here because I think it makes for a great dessert gin, one for where the flavour of gin is really allowed to shine and only a slight hint of bitterness is desirable. However, I’ve also made these jellies with Hendricks, which also had lovely results. Before we make it onto the actual recipe, I also need to present a few notes on the amount of sugar used in this recipe. Diana Henry’s original, once you’ve adapted the recipe to make 4 jellies rather than 8 calls for 75g of sugar, where I only use 60g. It was my intention to see if I could cut down the amount of sugar in the recipe on the outset, but as well as personal tastes and preference, I think the amount of sugar necessary also depends on the sweetness of the tonic water you’re using. As I mentioned, I’m not a tonic drinker so I grabbed a bog standard, Waitrose Essentials bottle for the task, which I guess by the fact I could taste it without grimacing is a tad sweeter than you’re higher end tonic such at Fentimans or Fevertree. I know it is the case for ginger beer, where I find the cheap stuff far too sweet, but I have almost entire case of Fentimans stashed at home. I’d start with the 60g I’ve recommended here, and add more sugar to taste at the stage where you’re dissolving it into the gin and tonic mixture. I also use golden granulated sugar in my recipe, but only because it is my default; unrefined sugar will always be better for you than chemically refined. Combine the gin, tonic water, water and sugar in a small saucepan with the lemon zest and juice. Bring to the point where it is just about to boil and drop it down to the lowest heat possible. Allow to simmer and infuse for 5 minutes, stirring occasionally to ensure all of the sugar is dissolved. Meanwhile, soak the gelatine sheets in a small bowl of cold water. Don’t worry about halving sheets, they snap quite easily. 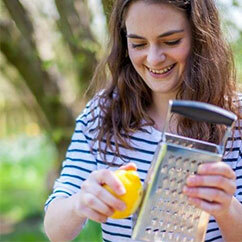 Remove the gin mixture from the heat and put it through a fine sieve to remove the lemon zest. Squeeze any excess water out of the gelatine sheets and stir them in until dissolved. Add the Angostura Bitters. 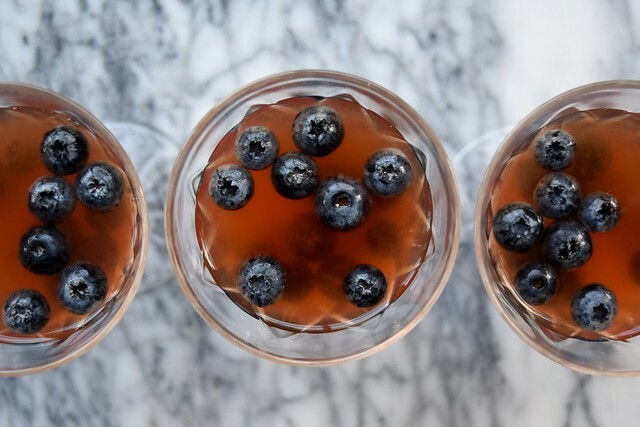 At this point, if you’re just making one big jelly, pour into a large shallow dish, float the blueberries on top and refrigerate for at least 4-5 hours before serving. If you want to go down the prettier, but slightly more time consuming route divide roughly 1/3 of the mixture between four glasses and scatter a good few blueberries on top of each. Chill for an hour and a half before repeating twice more, then chilling for another 2 hours before serving. Now, if you leave the gin and gelatine mixture at room temperature while the different layers of your jelly are setting in the fridge, it will start to set itself. Because I primarily cook on an AGA, the solution I have found for this is to leave the jug sitting on a folded tea towel (I was using a plastic one) on the back of the AGA between layers. This did keep the liquid pretty warm, so I had to be carful to pour it quickly and right into the middle of the jelly so I did not dissolve too much of what had just set, and cause the blueberries to float upwards, and therefore defeat the whole point of the exercise. Chilling the jellies for the full hour and a half before layers is also crucial to this method. Translating this to most homes at this time of year that don’t have AGA’s, I’d leave it on top of or by a radiator. 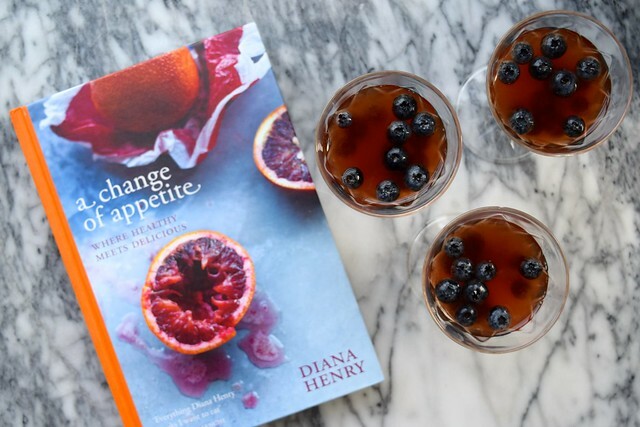 However, in the book Diana recommends just gently warming the liquid between layers, enough to just make it liquid (she says that you should always be able to put your finger in it), but not heating it up too much to destroy the properties of the gelatine. Do any of you make your own jellies at home? There are a few more in A Change Of Appetite (Blackberry and Red Wine, or Cardamom-scented Plum anyone) I want to try, but I need more suggestions – I feel that homemade jellies might well become my latest recipe obsession this Autumn. Usually I just use gelatine in panna cotta, but as it is actually such an easy ingredient to use, I’d like to branch out with it a bit.